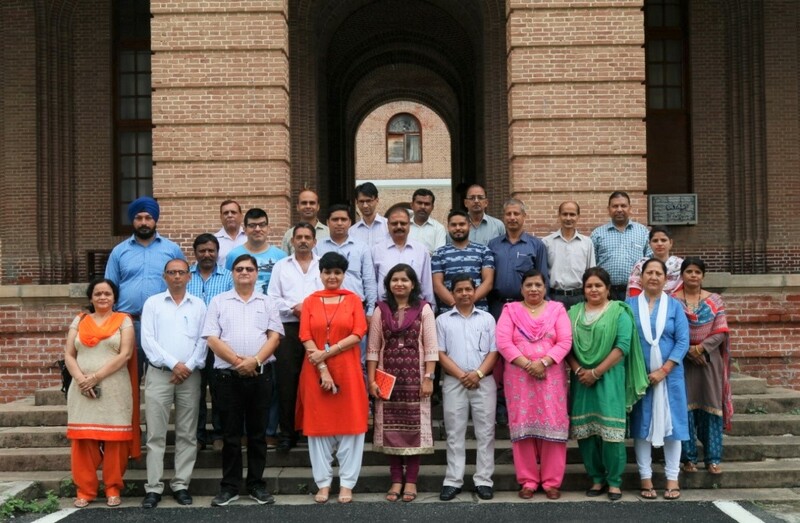 Hindi section, Forest Research Institute, Dehradun organized a one day training workshop on “Hindi Rajbhasha Adhiniyams and Filling of Quarterly Hindi Progress Report” for the Hindi Nodal Officers of Sections/Divisions of the Institute on 10.07.2018. 18 participants from different division/sections of institute were participated in the training. Dr. Savita, Director, FRI inaugurated the training workshop. In her inaugural address stated that the Hindi is a language of National Unity and connecting to the Country. She also emphasized on more work in day to day official work in Hindi in the institute. Introduction and importance of Hindi and about Rajbhasha Adhiniyams was given by Dr. M.R. Sakalani, Former Joint Director (Rajbhasha), Income Tax Department, Dehradun. Knowhow and filling of quarterly Hindi Progress Report was also given by Shri Ramesh Singh, Hindi Section, FRI to the participants in the training. On this occasion, Smt. Neelima Shah, Registrar, FRI present a welcome bouquet to the chief guest. The anchoring of the programme and present the welcome address the participants and the dignitaries were done by Rambir Singh, Scientist-D and In-Charge, Hindi Section, FRI. Hindi Section team Shri Ramesh Singh, UDC and Shri Dinesh Singh, Hindi Translator and others were present on the occasion and effort was made for success of the programme.